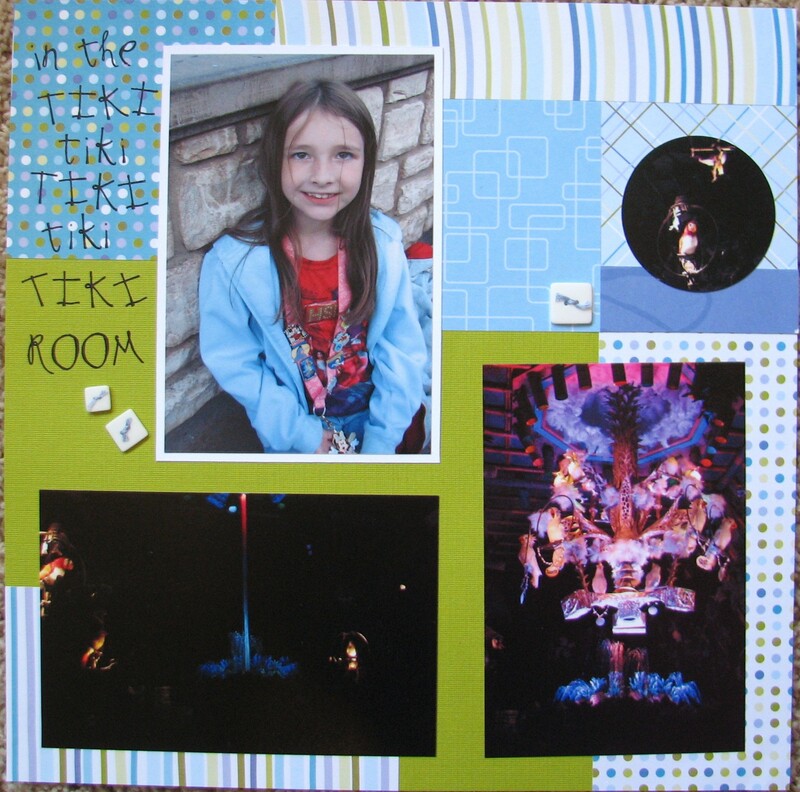 I had to sing the Tiki Room song when I was working on this layout, another Disney one under my belt. The rubons are Making Memories. All other supplies are unknown. Layout Challenge: #84 of 210. 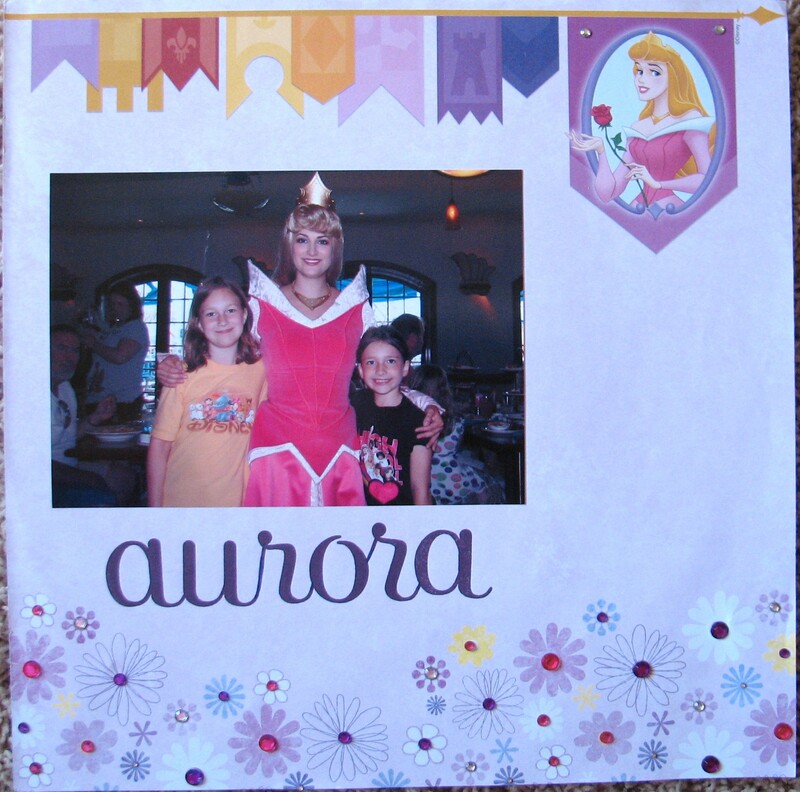 Products used: DCWV papers, Making Memories rubon letters, EK Success Disney 3D stickers, and CTMH Cherish. 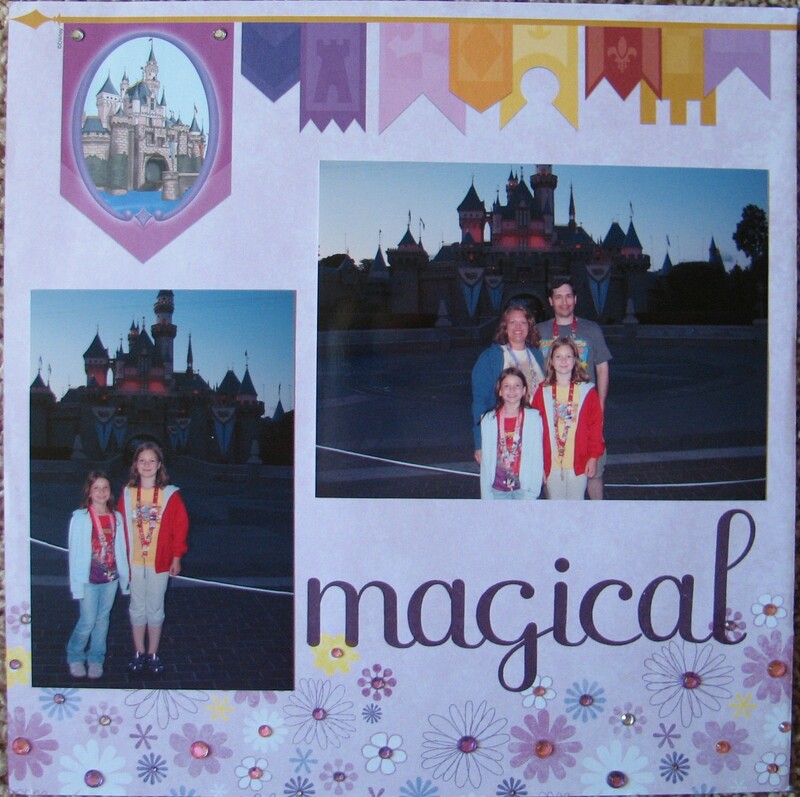 This is at Disneyland in front of Sleeping Beauty’s castle. The sun was too bright to get a good picture but it was a great day for vacationing! 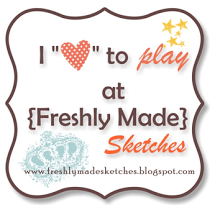 Products used: DCWV papers, CTMH White Daisy RicRac, and CTMH Giggle Alphabet stamp set. When we went to Disneyland we stayed at Carousel Inn & Suites. It was a pleasant place just across from the entrance to the park. The kids loved the Disney theme of our family suite and the fact that they had their own room with bunkbeds – just like at home!